The primary instruction of the course includes review of pitch and rhythm notation, major and minor scales and key signatures, triads and V7 chords. Teaches 18th century Common Practice, including diatonic 4-part harmonic techniques, progressions, inversions and figured bass, voice leading, non-harmonics, introduction to basic language of counterpoint, cadences, phrase structures, and elementary analysis. Extra grade weight is only offered to those taking Dual Enrollment courses on the VMHS campus. This is a Mt. San Jacinto Community College course offered on the campus of Vista Murrieta High School. All students must meet MSJC enrollment requirements in order to participate in the class. Upon successful completion of the course, students will earn 3 college units and completion of the Music-103 course. This course provides students with a survey of European music styles concentrating on Baroque, Classical, Romantic, and Modern music. The purpose of the course is to develop an understanding of various styles and elements of music, its history, and aesthetics. Extra grade weight is only offered to those taking Dual Enrollment courses on the VMHS campus. This is a Mt. San Jacinto Community College course offered on the campus of Vista Murrieta High School. All students must meet MSJC enrollment requirements in order to participate in the class. Upon successful completion of the course, students will earn 3 college units and completion of the Music-100 course. Marching Band meets one semester of the 2nd year physical education requirement. This course meets UC/CSU (F) and District approval for graduation requirements when taken along with Advanced Concert Band or Wind Ensemble. Marching Band is open to all qualified wind, percussion and color guard members. The course is oriented toward preparation and performance of high quality band literature as well as encouraging improvement of music fundamentals and technical playing skills. In addition, this ensemble meets outside the regular school day and performs at football games and parades. This class will meet after school; scheduled time to be announced. The marching band at Vista Murrieta High School is tagged as the Golden Alliance. The program is nationally recognized with many accolades. The marching band has been a Band of America Grand Nationals Semi-Finalist and has been awarded the prestigious Esprit de Corps Award during the Grand Nationals Finals Awards Ceremony. This school program is noted for being the most visible music program in the community and surrounding areas. This course meets UC/CSU (F) and District graduation requirements for Visual and Performing Arts. The group prepares or performs high-level band works and transcriptions. These works are well suited for this smaller ensemble (35-45 musicians.) The Wind Ensemble represents the school as the finest they have to offer at district and regional festivals and concerts both on and off campus. This ensemble will perform band literature at the college level, covering all genres of musical style. This course meets UC/CSU (F) and District graduation requirements for Visual & Performing Arts. Both Advanced Marching Band and Advanced Concert Band must be taken to fulfill the one year Visual and Performing Arts requirement. Concert Band is open to all qualified wind and percussion players. The course is oriented toward preparation and performance of high quality band literature as well as encouraging improvement of music fundamentals and technical playing skills. In addition, this ensemble performs outside the regular school day. This course meets District graduation requirements for Visual and Performing Arts. This course introduces jazz concepts; including jazz articulation and style and beginning improvisation techniques. Performances outside of the regular school day are required as part of the grading policy. This course meets UC/CSU (F) and District graduation requirements for Visual and Performing Arts. This course is technically and qualitatively advanced and any student will be required to perform/develop improvisation skills. Performances outside of the regular school day are required as part of the grading policy. Donald Wade has been the instrumental music director at Vista Murrieta High School since they opened their doors in the fall of 2003. Before coming to Vista Murrieta he taught at Los Altos High School (Hacienda Heights, CA) and at Jurupa Valley High School (Riverside, CA). Mr. Wade has received many awards and accolades including Vista Murrieta High School "Teacher of the Year" in 2008 and he has been a multiple time recipient of the Crystal Apple Award. 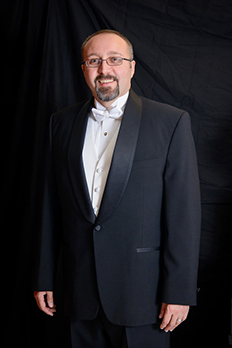 He has served as an adjudicator for the Southern California School Band and Orchestra Association (SCSBOA), Winter Guard Association of Southern California (WGASC), and Winter Guard International (WGI). Mr. Wade is a graduate of the University of Redlands and holds a Masters Degree in Education. Mr. Wade lives in Murrieta, CA with his wife and their 4 children. Bill Fritz is an alumnus of Upland High School in Upland, CA, where he graduated in 2003. Although he began his musical career as a saxophonist, Bill spent his time in the marching band as a mellophone player. After high school, he performed with Pacific Crest in 2003, 2004, and 2006. He then performed with the Blue Devils, where he aged out in 2007. Bill is a sought-after visual and music instructor for high schools in southern California area, most notably at Ayala, Chino Hills, and Upland. Prior to joining teaching at Pacific Crest in 2013, Bill taught three seasons as a visual instructor for The Academy Drum and Bugle Corps. 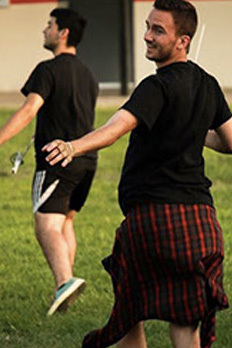 Outside of drum corps, Bill is actively engaged in the field of Wind Band Conducting. He is currently a Graduate Assistant in Instrumental Conducting at California State University, Fullerton, under the direction of Dr. Mitchell J. Fennell, where he conducts the University Band, Symphonic Winds, and University Wind Symphony. Before beginning his graduate studies, Bill earned a B.A. in Music Education, a B.M. in Saxophone Performance, and a single-subject teaching credential from CSU, Fullerton, under the tutelage of L.A. Philharmonic Saxophonist, James Rotter. 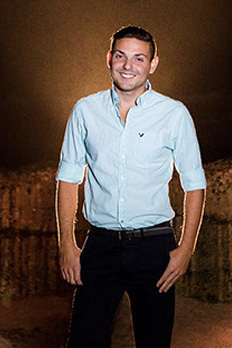 Sergio earned his Bachelor of Science degree from California State University Bakersfield in Early Childhood Education. Sergio is working towards his second degree in Business and Administration through the University of Phoenix Online Program. With over 21 years of performance experience and 17 years of teaching experience, Sergio has flourished as both a color guard choreographer and designer. He has had the privilege of teaching and performing with many prestigious groups at the DCI World Class Level, The BOA level and all six WGI classification levels. 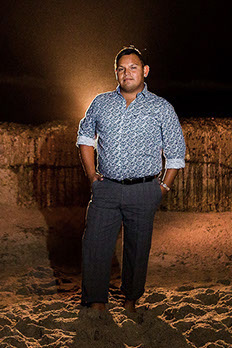 Sergio has performed with such groups as, West Coast Drum and Bugle Corps, Santa Clara Vanguard Drum and Bugle Corps, Fantasia Winter Guard, Corona Winter Guard, Esperanza de Luz Winter Guard and Intensity Winter Guard. Sergio has worked with such groups as Vista Murrieta High School, Ayala High School, Chino High School, Nogales High School, Rancho Buena Vista High School, Vandergrift High School, Centennial High School, Liberty High School, Blue Stars Drum and Bugle Corps, Esperanza Drum and Bugle Corps and the Pacific Crest Drum and Bugle Corps. In 2014 and 2015, Sergio was the color guard caption head for the Academy Drum and Bugle Corps. Currently, Sergio is the Color Guard Caption Head for the Vista Murrieta High School Band and Color Guard from Murrieta, California. 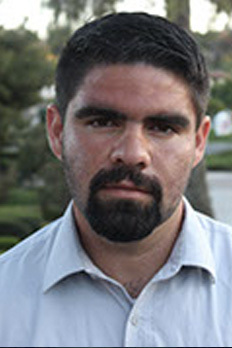 Sergio resides in Riverside, California. Sergio was recently married in the summer of 2016. James Gow is a Southern California native who began his marching career at Vista Murrieta HS before joining Pacific Crest Drum and Bugle Corps (2005-2006) and later going on to march with The Blue Devils (2007-2010). As a drill designer, James has worked with Southwind Drum and Bugle Corps (2017-2018) and is the current visual designer for The Blue Knights (2018-present). He has served as drill designer for multiple high school programs around the country, including Green Hope, Warren, Etiwanda, Foothill, Temecula Valley, and Great Oak HS. 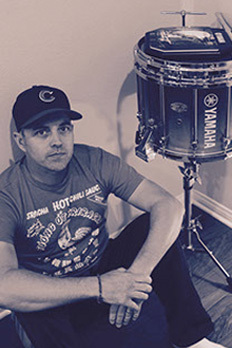 James also designs visual programs for scholastic and independent winter drumlines and is currently a choreographer and visual instructor at Broken City Percussion, as well as visual designer at Vessel Percussion. As an instructor, James has taught highly competitive groups in the Southern California area including Vista Murrieta, Mission Viejo, Etiwanda, and Fountain Valley High Schools, and serves as the current visual caption head and choreographer for BOA semi-finalist Vista Murrieta HS. He has been a member of the visual staff for the Sacramento Mandarins (2011), The Cadets (2012), and The Blue Devils Drum and Bugle Corps (2013-2018). Veronica Wicks is the battery manager for the Blue Knights Drum & Bugle Corps. 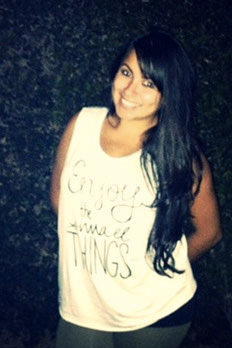 Veronica is currently a student at Cal State Fullerton in the process of completing a bachelor's degree in Cognitive Psychology. She started drumming at the age of 12 where she began to compete in winter percussion and continued throughout high school. After high school she continued to play tenors in drum corps from 2007-2010 and from 2008-2009 at Pulse Percussion. Throughout her experience as a member and a college student she began teaching as a tenor tech at multiple high schools. Veronica has been teaching for the past 7 years. She has taught one season of drum corps and is currently the battery/tenor tech at Rowland HS, Rancho Cucamonga HS, South Hills HS, Chino HS, Valencia HS (OC) and Alvarado Intermediate. Steven Herman is the bass technician for the Blue Knights Drum and Bugle Corps. Steven began his marching career at Chino High School under the direction of Mike Jackson where he helped the group become a WGI World Class Finalist. After graduating he then went on to become a member of POW Percussion from 2012-2013, Pulse Percussion from 2014-15 earning WGI Gold and Bronze, and eventually aging out at Broken City earning a WGI Bronze. His DCI experience includes Gold 2011, The Academy 2012, and the Phantom Regiment 2013-2015 where he served as Bass Section Leader as well as Drum Captain in his age out season. Jasmine is an alumni of the Vista Murrieta Color Guard. She marched the Baritone Horn her freshman year fall season, but then went on to march both winter and fall seasons with the color guard from 2010 to 2013. 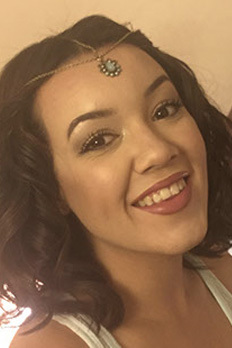 Jasmine has also been a member of the Independent Winter guard, Fantasia since 2014. She volunteered helping with the Vista Murrieta Color Guard once she graduated High School from 2013 to 2015, and became an official staff member in 2016, and is very excited for another great season with the VMHS Sapphires! Nico Martinez was born and raised in Riverside California. He graduated from Valley View High School in Moreno Valley, Ca where he was a part of the instrumental music program. After graduating, he attended Riverside City College where he studied music education and saxophone performance for 4 years. Along with performing with the RCC Marching Tigers from 2010-2014, he joined the world class winter guard, Fantasia, and has been a part of that competitive program for the seasons of 2014-2017. Nico has worked with color guard programs such as Sierra Vista HS, Canyon Springs HS, and Monrovia HS. Although his teaching experience as a color guard tech is still developing, he is humbled to be a part of the staff at Vista Murrieta. 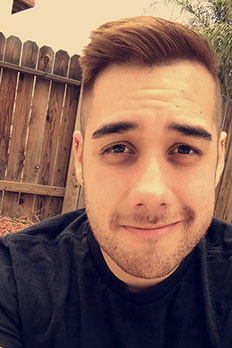 Nico currently works full time as a supervisor at Starbucks and is pursuing a bachelor's degree in Business and Communications at Arizona State University's online program. Matthew has been dancing since he was five year olds. While he was attending Vista High School, he joined the color guard and dance team. He ended his senior year as a color guard captain and knew he wanted to continue in the color guard activity after high school. He joined the independent group color guard, Vox Artium, for the next four years and acted as a captain for the latter two. Pete was born and raised in West Covina, California and graduated from West Covina High School. After performing for four years in high school he went on to perform with the Boston Crusaders Drum and Bugle Corps in 2007, the Blue Stars Drum and Bugle Corps in 2008 and the Cadets Drum and Bugle Corps in 2011. He also perform winter guard seasons with Corona Winter Guard in 2008, 2009 and 2011 and Imbue Winter Guard in 2015 and 2016. 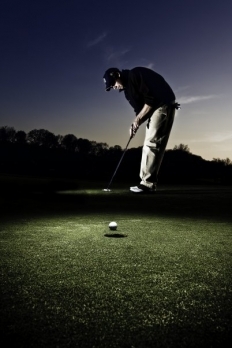 Pete currently works with Sunny Hills High School and Vista Murrieta High School. He also is also a costume designer at Creative Costuming and Designs in Huntington Beach, California. Pete was recently married in the summer of 2016. He is living in Riverside, California and working towards a degree in mathematics. 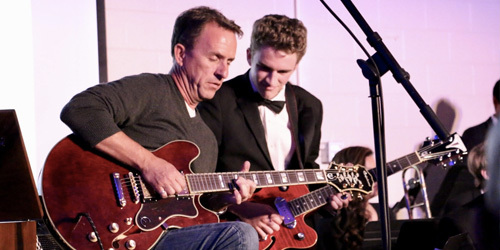 The Vista Murrieta High School Instrumental Music Program provides an opportunity for students to develop an appreciation for music and encourages the skills and discipline necessary for achieving musical excellence throughout a lifetime of experiences. Students can learn the importance of a cooperative team effort while working with fellow members to accomplish the shared goals of the program. Music students have fun meeting new friends and traveling to new and exciting places. In addition, the program challenges students in areas of personal growth and musicianship. "The one group most exhibiting pride, spirit, enthusiasm, friendliness, and unity of purpose for the activity of marching bands in this country"
The John Philip Sousa Foundation created the Sudler Shield Award to establish and support international standards of excellence in musical performance, marching execution, choreography, and show design for high school, youth or international marching bands. "To identify, recognize, and honor the outstanding high school marching band who is at a world class level of excellence"
The Instrumental Music Program was formed in 2003 when Vista Murrieta HS opened. Directed by Donald Wade, the band only competed in parades during its first season. The first parade the band performed in was the Rancho Cucamonga Founders' Day Parade. Because the school was not completely built yet, SPA I was held at Shivela Middle School. Color Guard and Drumline competed during indoor season. The Golden Alliance Marching Band began building the foundation of Vista Murrieta's tradition of excellence. 2004 was the year the Golden Alliance debuted on the field. This was also the first year Vista Murrieta had a Varsity football team, and the band performed pep music during games and field shows at half time. The band competed in SCSBOA Division 4A. The first field show competition the GA competed in was the Mt. Carmel Tournament of Bands. Winter Guard competed indoor second semester, improving leaps and bounds under the tutelage of Blue Devils veteran Staysha Davis. Drumline, instead of competing indoors, put on a stage show entitled 20,000 Beats Out on the Street. The Wind Ensemble achieved Superior ratings in concert performance and sight-reading at festival. The Golden Alliance kicked it up a notch in 2005, performing at the top of SCSBOA Division 5A. The field show, City of Angels, was based on a story of a 1920s film writer who used the big screen to live out his alter ego. The band took First Place at a number of competitions during the season and won the Sweepstakes Award for General Effect at the Temecula Valley Field Tournament. The GA was invited to Championships for the first time and took an impressive 8th place overall. In 2006, the Golden Alliance competed as a 6A band with over 200 members. They participated in a Bands of America regional competition held at the Los Angeles Coliseum and took 5th place with a score of 81.60. A video of the GA's final performance of the 2006 marching season can be seen here. In the spring of 2007, the Vista Murrieta Wind Ensemble achieved unanimous superior ratings at a concert festival, thus allowing them to attend an SCSBOA Regional Festival. The Wind Ensemble attended a regional festival and was once again awarded unanimous superior ratings. In 2007, the bar was raised to a new level. 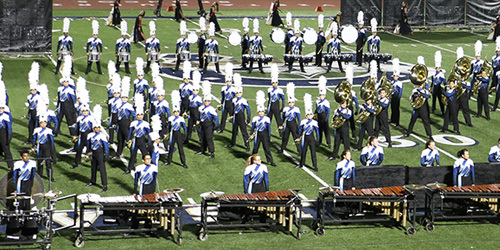 With their show entitled "Heroes", the GA made finals at numerous field tournaments including two Bands of America Regional Championships in Flagstaff, AZ and Los Angeles. The band also appeared in the nationally-televised "Hollywood Christmas Parade" on November 25th. In November 2008, the Golden Alliance competed at the first Grand Nationals competition held in the new Lucas Oil Stadium in Indianapolis, Indiana. Out of 92 bands, the group advanced to semi-finals; a very honorable position, especially considering how young the group was. Most importantly, the band was awarded the "Espirit de Corps" Award which is given to any participating group which displayed the highest level of integrity, respect, and character. This prestigious award reflects the true purpose of marching band: to make better people through music. The Vista Murrieta High School attendance zone incorporates a feeder system that includes three middle schools and five elementary schools. Instrumental music begins at the 5th grade level at all elementary schools. At the high school level, all wind and percussion students participate in one of four concert ensembles. 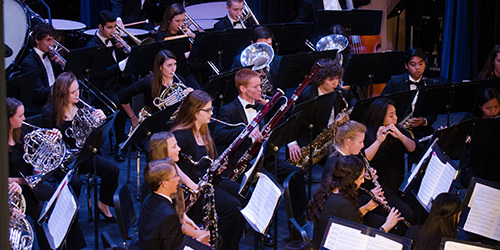 The Vista Murrieta Concert Ensembles, offered as yearlong programs, are the foundation of the band organization, preparing and performing several concerts throughout the year. The Wind Ensemble (top ensemble) is recognized as being one of the best of its category in the state. Many graduates from the Wind Ensemble have earned full tuition music scholarships to various prestigious university music programs all across the country. All wind and percussion students also participate in a "Solo and Small Ensemble" festival. These music festivals are locally sponsored and provide our students the opportunity to perform a solo and/or in a small ensemble and have their performances critiqued by a professional adjudicator. Many of our concert students go on to audition for and are selected for local and state honor bands including the Riverside City College "John Phillip Sousa Honor Band, the Southern California School Band and Orchestra Association (SCSBOA) "All-Southern Honor Band", and the California Music EducatorsAssociation (CBDA) "All-State Honor Band". Students also have the option of enrolling in one of our three award winning jazz ensembles, each known for excellence in their class. In addition to performing in a number of home concerts and community events, our ensembles compete in local, regional, and national level jazz competitions. Our top ensembles regularly participate in the Reno Jazz Festival and the national "Essentially Ellington"competition. The VMHS Jazz program has ushered the way for many students into honor jazz ensembles, audition-based ensembles such as the Riverside City College "Ellington Honor Jazz Ensemble"and the SCSBOA All-Southern Jazz Ensemble. 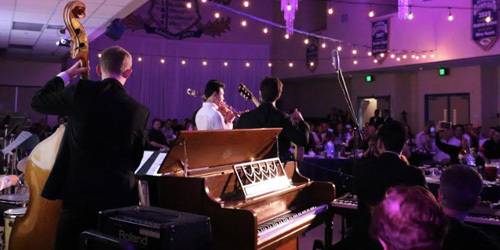 Our jazz program is also known for hosting acclaimed guest artists, allowing students the privilege of performing with jazz greats such as Wayne Bergeron, Jay Mason, Don Clarke, Charlie Peterson, Eric Marienthal and more. A majority of the band's students are also enrolled in the nationally recognized Vista Murrieta Marching Band. In addition to serving as musical entertainment and support for our varsity football team, the approximately 230 members of the VM Marching Band also represent Vista Murrieta High School at local, regional, and national level competitions, including the Western Band Association (WBA) and Bands of America (BOA). The marching band was a semi-finalist band in the 2008 Bands of America Grand National Championships held in Indianapolis, Indiana and was awarded the "Al Castronovo Espirt de Corps Award", presented to the "one group most exhibiting pride, spirit, enthusiasm, friendliness, and unity of purpose for the activity of marching bands in this country" (BOA Adjudication Handbook). At the close of fall marching band season, our percussion and color guard students go on to participate in one of two winter drum line ensembles or in one of three winter color guard teams offered through our comprehensive program. 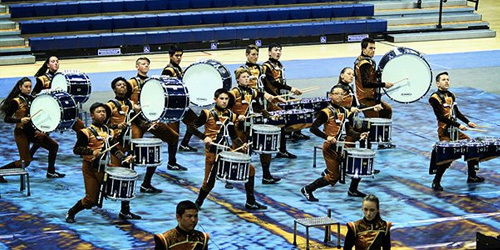 Each year, our winter drum line participates in the Southern California Percussion Alliance (SCPA) competition and has consistently been a finalist in the circuit championships. 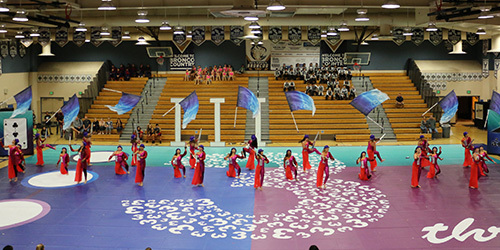 Our winter color guard teams perform in local competitions sponsored by the Winter Guard Association of Southern California (WGASC) and in Winter Guard International (WGI) regional events and have won numerous accolades at circuit championships. The Vista Murrieta Band Program is consistently supported by the incredible network of parents who comprise the band booster organization. Year after year these individuals, in partnership with our band families, perform extraordinary efforts to provide financial, physical, and moral support to the wonderful students in the Vista Murrieta High School wind, percussion, and color guard programs. The Parent Association Club is an excellent way for parents to get involved in the Instrumental Music Programs and Color Guard. The purpose of the organization is to promote and support the instrumental music students and visual performing groups of the VMHS Instrumental Music Program. They promote and encourage musical excellence in the program, teamwork and cooperation in all activities, and an environment of mutual respect and dignity. The Band Boosters serve the VMHS Band & Color Guard publicly, physically, and financially. Publicly: They communicate the exceptional quality of the program to the community at large. Physically: They serve as volunteers whenever and wherever needed. They organize meals at SPA, drive equipment trucks to competitions, manage uniforms, sell tickets for concerts, and hundreds of other jobs that just have to be done. Financially: They ensure the success of the instrumental music program by keeping the program financially stable. They plan and organize fundraisers and sponsorships, manage student accounts, and manage the budget. Because the Band Boosters are such an integral part of a successful program, adequate parental involvement is key. You don't need to have a background in music to participate, you don't need to be a stay-at-home mom, and you don't even need to be a mom! (Dads are strongly encouraged to join and help!!!) No matter what your expertise is, it will be of use to us, and it will be greatly appreciated. Anyone with backgrounds in accounting, communications, construction, counseling, designing, driving, electrical, engineering, event planning, inventory, legal counsel, management, mechanics, programming, repair, retail, sales, scheduling, secretarial, sewing, warehousing, writing, web design, and MORE will be useful to the smooth operation of the program. Band parents provide the tools of every trade so our students can enjoy an endless source of practical knowledge and wisdom unselfishly shared with our musical community. Without fail, EVERYONE has something to give. However, your most important contribution will always be your presence. Simply being involved sends a powerful message to your son or daughter. You become a role model of conviction. There is no substitute for this precious and priceless gift. Have Fun! Volunteer! Socialize! Support the Students! The Murrieta Valley Unified School District is located in Murrieta, California on the southwestern edge of Riverside County. Murrieta Valley Unified School District educates 22,700 students from transitional kindergarten through high school with an excellent, comprehensive academic program. Students participate in highly acclaimed visual and performing arts programs, championship interscholastic athletic programs and nationally recognized student activities programs. The student-centered educational program emphasizes a commitment to the academic success of each and every student. With twelve California Distinguished Schools and a district Academic Performance Index of 852, MVUSD is one of the highest performing districts in Riverside County. Active parent and community involvement coupled with highly qualified teachers and staff has made Murrieta a leader among school districts. Vista Murrieta High School, located in Murrieta, California opened its doors in 2003. The city of Murrieta is about 35 miles south of the center of Riverside and 60 miles north of San Diego. Current VMHS enrollment is approximately 3600 students, including grades 9 through 12. Vista Murrieta is a 2009 California Distinguished School, MaxPreps "Most Spirited High School in the Nation" for two consecutive years, and a CIF Champion School of Character. The school offers an excellent and diverse academic program, award-winning student activities programs, outstanding interscholastic athletic and performing arts programs as well as many other social and academic enrichment opportunities. The VMHS motto, "C.L.A.S.S." (Character, Leadership, Attitude, Scholarship, and Service), sets a standard for the success of all students and permeates every aspect of the school's culture and environment.